Seville Classics Ultra HD 4 Drawer Timber Top Rolling cabinet, now in Australia, features steel construction, stainless steel drawer fronts and handles and key lockable doors. Flat packed with all assembly tools supplied. Generous bench top work space. Seville Classics Garage Storage Systems have arrived in Australia! We're proud to partner with Seville Classics Inc to bring you their Ultra HD Garage Storage range. Previously, these products have only been supplied to the German, US and Canadian markets. For over 35 years, Seville Classics Inc has been a leading innovator in home organisation and garage storage solutions. Their team of contemporary product engineers and industrial designers are working hard to craft quality storage products with value at reasonable prices. Today's garage storage solutions give home owners the room to actually park their cars indoors, while leaving plenty of space for tools, sports equipment and miscellaneous storage. 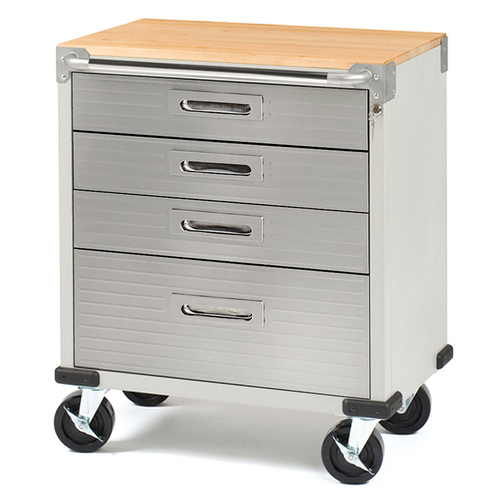 These products are heavy duty, yet modern, stylish and functional. Steel construction with a powder coated semi-gloss finish (light grey hammertone). 23mm hardwood timber top with a polished lacquer finish. 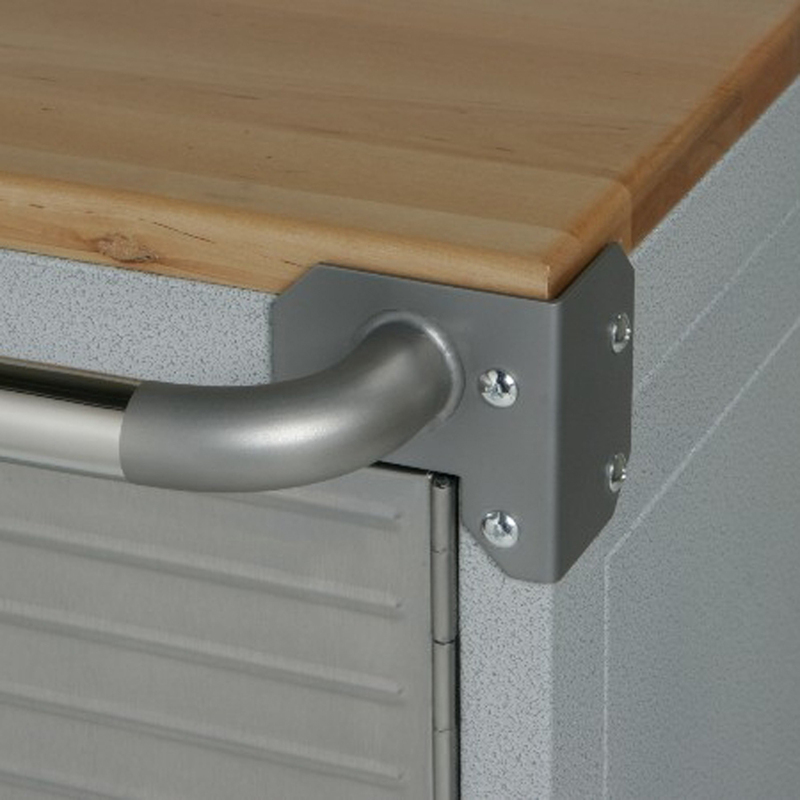 Stainless steel drawer fronts and handles. 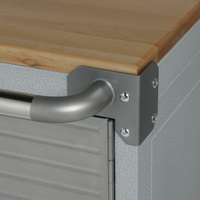 Heavy duty ball bearing drawer slides. Quality draw liners inside each drawer. 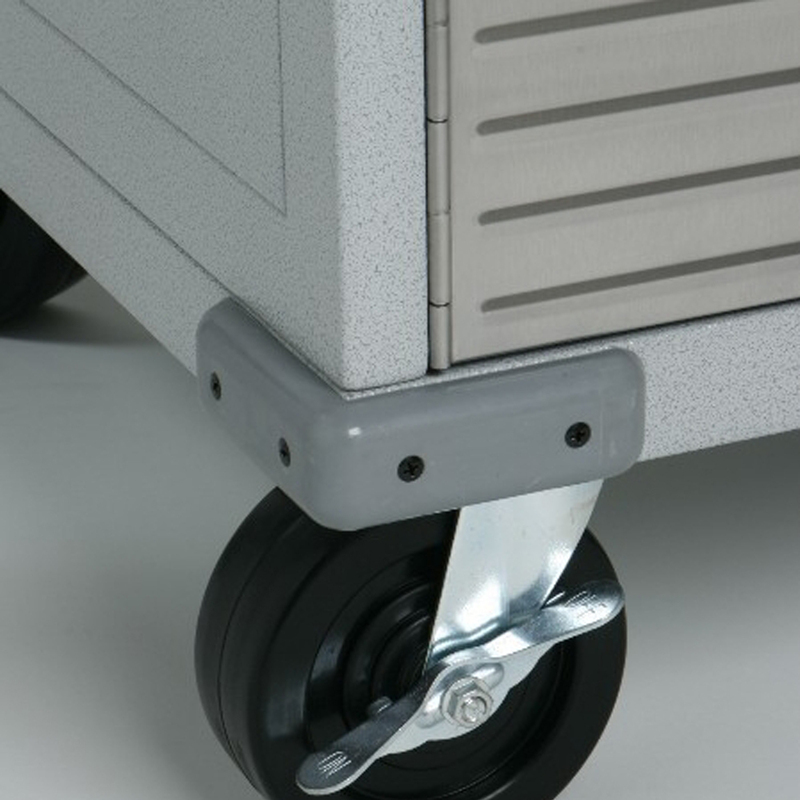 5" x 2" castors (2 with brakes). We stand behind all our products. Each Seville Classics product is backed by a 12 Month Warranty. Your Seville Classics product is warranted against original defects in material or workmanship under normal home or office use for the duration of the warranty period. If you have other questions regarding the warranty, email sales@justprotools.com.au. Warranty does not cover freight charges to or from our warehouse.